IF YOU'RE A BYUtv LOVER, THEN YOU'LL LOVE THIS! 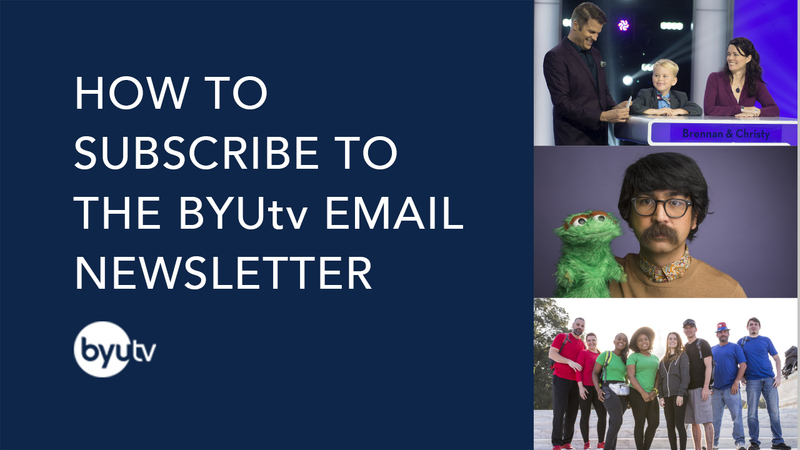 Twice a month, BYUtv emails out an exclusive newsletter that includes first looks, behind the scenes information, special discounts, giveaways, and MORE! Getting special access to all things BYUtv has never been so easy. Simply subscribe to our newsletter below, and get all these things (and more) sent right to your inbox. A special thanks to all of our subscribers. Stay tuned each month for more exclusive content and sneak peeks!